“Molecular scissors” can literally snip away disease-causing DNA. CRISPR-Cas9 is the most advanced and efficient gene editing tool we have. It’s uses, however, have been largely limited to silencing protein-coding genes in the DNA. This leaves out what’s called the DNA “dark matter” — the non-coding DNA that covers about 99 percent of our genetic code. A study published in the journal PLOS Computational Biology may soon change this. The new technique, developed by a team of researchers led by Carlos Pulido, is a software pipeline called CRISPETa. It’s based on a breakthrough tool (which uses CRISPR-Cas9) called DECKO. The tool was recently developed by the Johson lab, and was specifically designed for deleting those pieces of non-coding DNA. DECKO employs two sgRNAs as “molecular scissors” that snip out a piece of DNA. While the concept might seem simple, designing deletion experiments using DECKO was time consuming due to thee lack of software to create the required sgRNAs. This is where CRISPETa comes in. Users can tell CRISPETa which region of DNA they wish to delete. The software then generates a pair of optimized sgRNAs that can be used directly for that experiment. Even better, the software can develop designs at high scale, which would all for future screening experiments as well. “We hope that this new software tool will allow the greatest possible number of researchers to harness the power of CRISPR deletion in their research,” Pulido said. CRISPETa designs have already demonstrated their ability to efficiently delete desired targets in human cells. “Ultimately, we expect that CRISPR deletion and other genome engineering tools to lead to a revolution in our ability to understand the genomic basis of disease, particularly in the 99% of DNA that does not encode proteins,” researcher Rory Johnson explained. The deletions could also be carried in RNA molecules. “Apart from being used as a basic research tool, CRISPR may even be used in the future as a powerful therapeutic to reverse disease-causing mutations,” Johnson added. 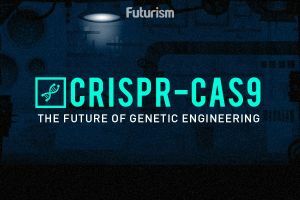 This is the underlying value of the research: the software could be used to develop CRISPR scissors to delete suspected disease-causing, non-coding DNA. At the very least CRISPETa will improve our understanding of non-coding DNA, which could lead to the discovery of new disease-causing genes, and aid in the development of potential new drugs with which to treat and maybe even eventually cure them.